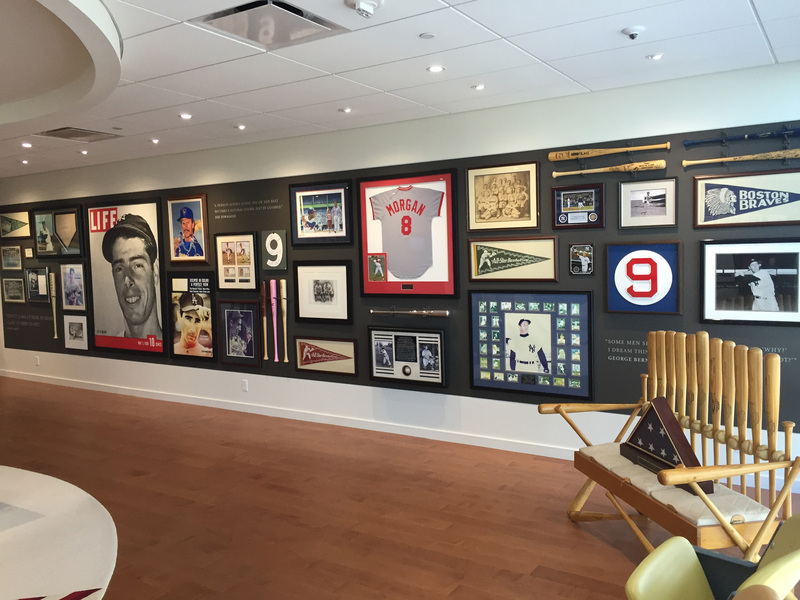 The architectural firm working on Bud Selig’s office approached us for help with getting the Commissioner Emeritus’ memorabilia out of storage and up on the walls of his new office. The challenge? A rough layout with estimated dimensions for each piece. We implemented a methodical process for placing mementos on the walls which gave our clients plenty of time to ensure that everything was perfectly in its place. In addition to the placement and installation of one-of-a-kind pieces, we created bespoke bat holders, custom lettering for the walls and graphic elements to bring the collection together.